Can’t remember the full name of a document , photo or video, but you need to find it? Don’t remember what folder it’s even in? It takes too much time to search through megabytes, maybe gigabytes of data, to find that one piece of information. No worry –– Blob is here to help! Blob is a tool that helps you find any file on your computer, including documents, social media posts and emails. With Blob, you don’t have to remember which account you used to send an email. The best part? Blog doesn’t require you to remember the exact name of the file you need. Instead, you can use whatever you do remember, and a list of results pops up. 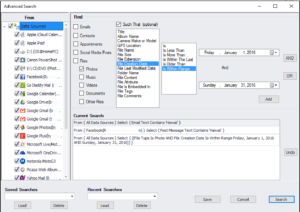 You can also choose a specific data source from which to search for the file. Blob works by copying your files to multiple folders with various categories, making it easier to find a specific file the next time you do a search. 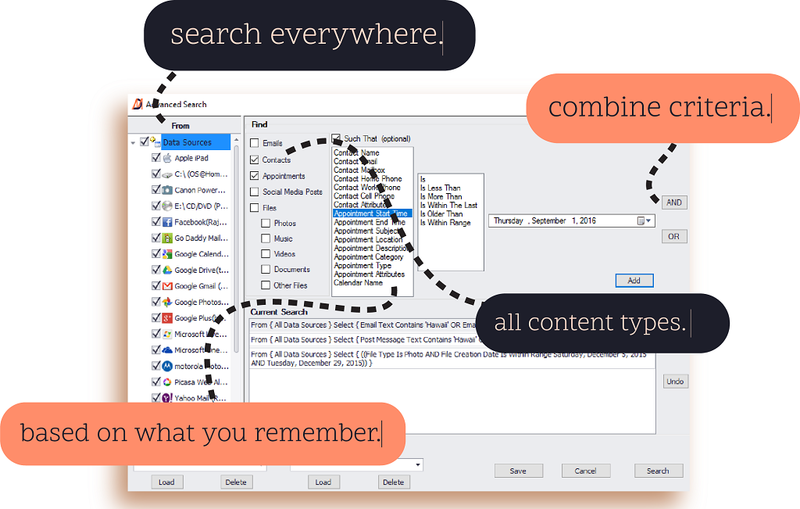 The app differs from typical filing systems by using tags to group together and store content. For instance, if you’re organizing an event, you can tag emails, documents, photos, videos and social media posts to be indexed according to the event name. When you want to find a particular email from someone who worked with you on the event, you just search on part of the event name. Bingo! A list of files appears from which you can select the one you want. This app also includes some powerful features for backing up data such as emails, social media posts and other content you night not typically back up. You can manually back up the files by copying or moving them to a storage device or the cloud. You can also schedule automatic backups. Download and give the free 45-day trial version of Blob a spin at www.datamaton.com. Free is great. But as usual, we recommend simplifying your life –– mark your calendar so you know when the deal is up, and you can take the proper action. We love uncovering, testing and sharing tech tips and tools essential to simplifying and organizing your everyday life. For more tips, send an email with your name and email address to and we’ll add you to our enewsletter list.